It still amazes me how so many of the largest companies in world started out as some crazy idea in someone’s head. Then, these individuals began talking about it with another person. Perhaps Larry invited Sergey over for a coffee chat, perhaps Steve started an argument with Woz, Hewlett started brainstorming with Packard, Procter meets with Gamble for the first time, and so on. As the idea is shared, it separates itself from one individual and takes on a life of its own. Now, two or more people get excited about it. More talks are scheduled. More energy is generated. Perhaps more people involved. Then things get actually tried out. Soon, papers get signed and boom, a company is borne! This is a very, very familiar process for me…an idea surfaces between 2 or 3 people, excitement is generated, more meetings are arranged, research is done, things get moving, and soon, papers are signed. But that first step is something I know is a barrier for some people. You have to release your idea into the wild. I know for a lot of people this is a very natural thing, but I also know that for a lot of people, this can be a very unnatural thing, like the shy kid getting ready to be called for orals. It’s your idea after all, and to share it is to open yourself up to all sorts of imagined criticism and scorn. If you have an idea though, an idea which you feel very strongly about, (the one which keeps you up at night) you CANNOT just let it remain stagnant in your head. You’re not doing anyone any favors, certainly not yourself. TALK to people about it. What do your friends think? What do experts think? Heck, what do strangers think? 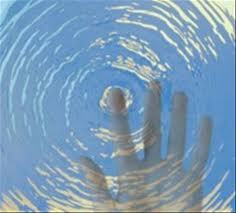 If you want to make any sort of ripple, you can’t be afraid of touching the water.